Many different sentiments may be expressed through flowers and nowadays this none-verbal language is growing in popularity. every one of us has at least once sent a message to someone with flowers. sometimes, a whole conversation between lovers could take place through flowers. the flower that is regarded as most meaningful, is the red rose. a single red rose is viewed nowadays as an expression of love. but there are many more different thing one could saying with a single red rose. 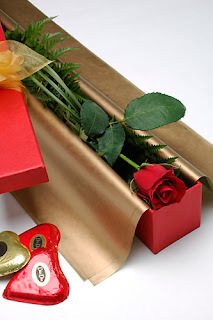 for example: a single red rose will be sent also by a man who wishes to send apologies for someone important for him. ever since medieval days, white roses are looked upon as a symbol of light, purity and innocence, therefore , sending someone a single white rose can testify that you feel that same person is meaningful for you, or that the love between you is pure. Worldwide florist and flower shops Web Directory; Find out huge selection of sources for Flower shop and send flower on line from a local florist around the world.